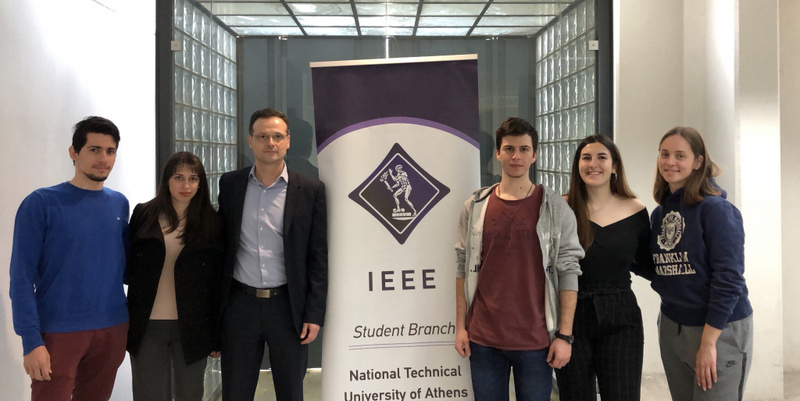 On Friday, 29th of March 2019 a talk event took place at the Multimedia Amphitheater of the NTUA Central Library, on the subject of Advances in Arterial Blood Pressure Measurement Technology. 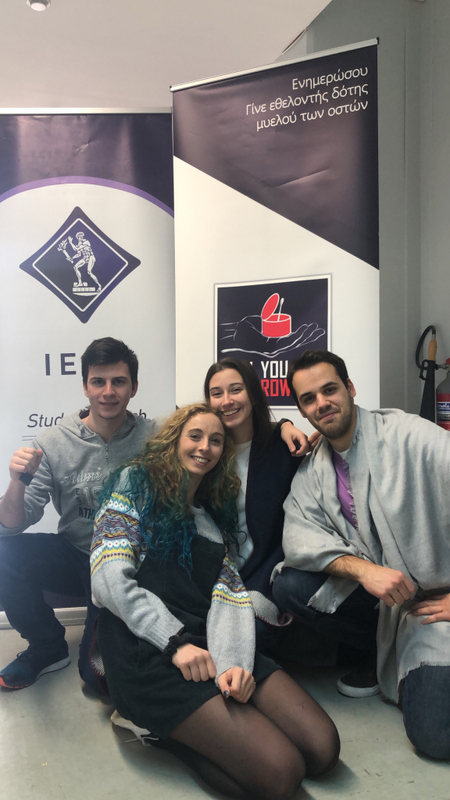 The workshop was organized by the School of Electrical and Computer Engineering NTUA in collaboration with the IEEE Engineering in Medicine & Biology Society of the IEEE NTUA SB. 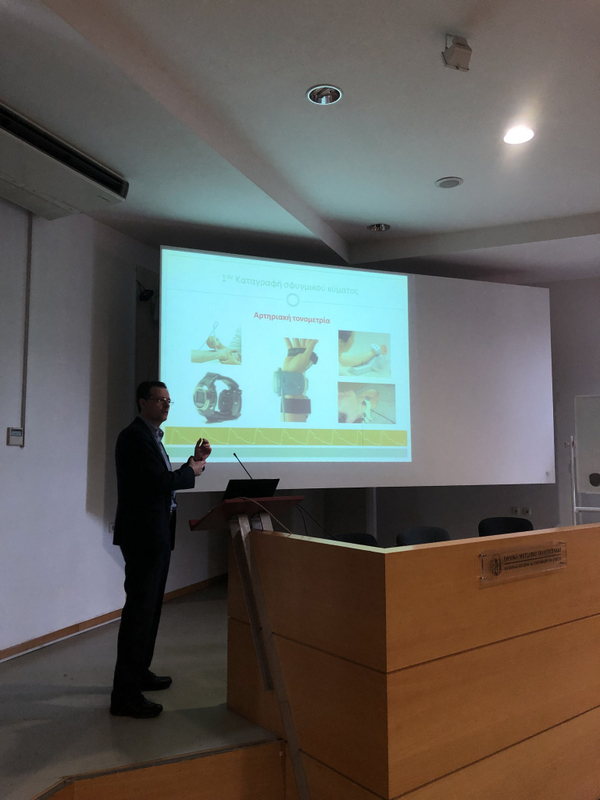 The main speaker of the event was Theodoros Papaioannou, Associate Professor of Biomedical Technology at the Medical School of the National and Kapodistrian University of Athens (NKUA) and Head of the Biomedical Technology Unit of the 1st University Cardiology Clinic in Ippokratio General Hospital of Athens. We talked about innovative approaches to measuring blood pressure. Blood pressure (BP) is traditionally assessed, for centuries, at the brachial artery by cuff-based sphygmomanometric techniques. Technological and methodological innovations, as well as emerging new findings from clinical studies and trials, now provoke a re-consideration of traditional strategies for BP recording and management. The existing knowledge regarding the occurring changes of BP over time (temporal variability), the evident differences of BP levels between central (i.e. brachial) and peripheral (i.e. aorta) arteries (spatial variability) as well as accuracy issues in BP measurement now pilot the progress in current therapeutic and diagnostic concepts and practices in BP assessment and management. Recent technological innovations based on signal processing, pulse wave analysis and pulse wave acquisition techniques have considerably expanded our ability to assess and predict BP-related cardiovascular risk with a higher clinical accuracy and precision.